S&TC welcomes the new Environment Agency byelaws which will close down the killing of Atlantic salmon in drift nets and coastal T&J nets on the north east coast of England, which follows lobbying from several fisheries NGOs over many years. S&TC believe this is the correct decision in the interests of protecting and conserving salmon stocks and brings England into line with international salmon management obligations. S&TC was closely involved in the closure of the Scottish coastal nets in 2016, via complaint to Europe under the EU Habitats Directive that Scotland was not managing its wild salmon stocks responsibly. The Scottish action left England in some embarrassment, in that these north east English nets exploited salmon bound for Scottish rivers anywhere between 30% (Yorkshire coast) and 70% (drift nets). S&TC has also been heavily involved internationally as Co-Chair of the NGOs at the North Atlantic Salmon Conservation Organisation (NASCO), pressurising all countries still allowing exploitation of salmon stocks from more than one river system (Mixed Stock Fisheries) to close them down on management and conservation grounds. “We are delighted with this decision to close the north east mixed stock fisheries for salmon, and congratulate the EA for taking this decisive action, which will allow thousands of wild salmon to run their natal rivers without fear of exploitation so that they can spawn future generations. “We are concerned that sea trout will still be exploited in some of the north east coastal nets and we will be seeking more evidence in the near future as to the true status of English sea trout stocks. The new byelaws will come into force on 1 January 2019, an important step in tackling the international decline in migratory salmon stocks. Salmon numbers are currently among the lowest on record and are below sustainable levels in many rivers. Renewal of the 1998 Spring Salmon Byelaws. These protect the larger, early running salmon, and do not involve any new measures. Following an extensive lobbying exercise, S&TC Cymru are greatly encouraged by the recent announcement by Lesley Griffiths, Welsh Government Cabinet Secretary for Energy, Planning and Rural Affairs, to introduce regulatory measures to combat the growing threat to the freshwater environment from agricultural pollution. "...poor practice is leaving many stretches of rivers devoid of fish. ...In the long-term, we will develop a regulatory baseline, informed by responses to the Brexit and our Land consultation. 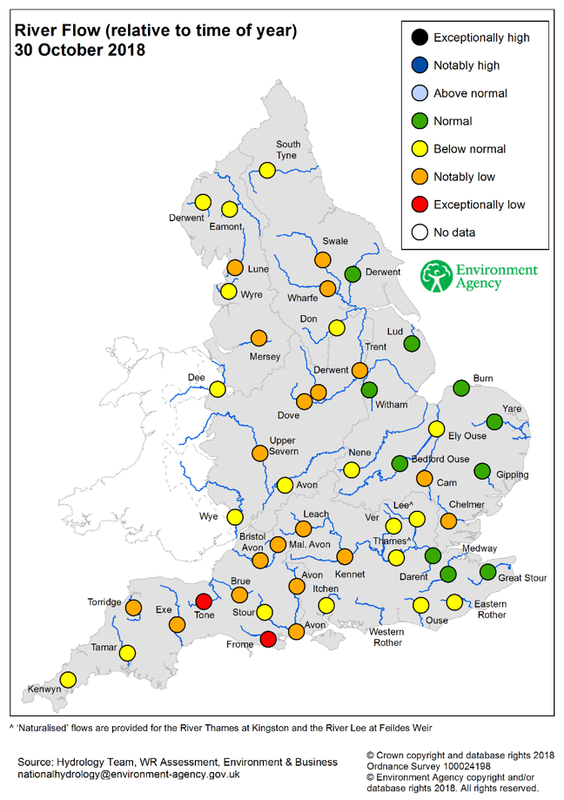 But in the short term, we must take action now to deal with these unacceptable levels of agricultural pollution. ...The regulations will replicate good practice which many farms are already implementing routinely - this must become the norm. ...The regulations will enable firm and consistent enforcement to be taken. The regulations will also ensure there are no barriers to trade of agricultural produce with the European Union following Brexit and help us meet national and international obligations on water quality. S&TC Cymru welcome this news; indeed our rivers and fish have told us for some time that stricter rules, and more stringent enforcement of such rules, is urgently needed to protect against bad agricultural practice. Our National Officer for Wales, Richard Garner Williams, summarises our thoughts on the announcement below; following consultations with our environmental lawyer, who provides the legal analysis which supports our demands for revision of the law; and based upon professionally-analysed scientific evidence of direct impact on invertebrates and the freshwater ecosystem. 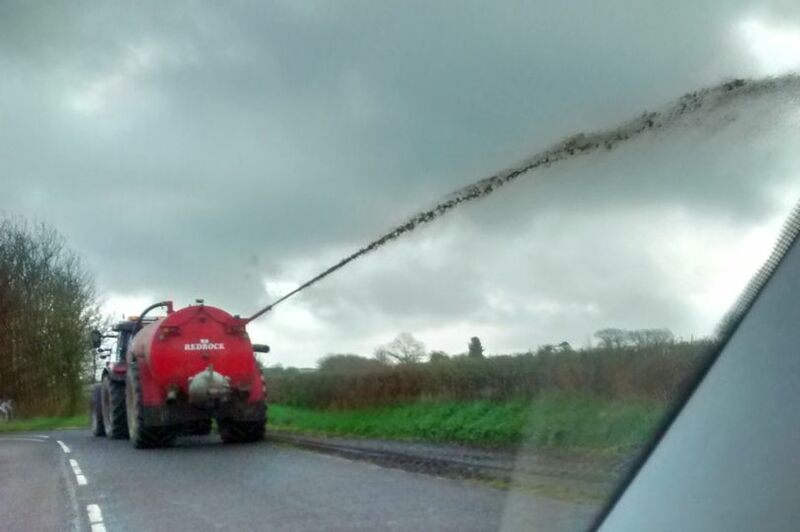 Above: Slurry spreading in wet weather, violating voluntary CoGAP. Unlike in Scotland and England, where basic measures or general binding rules place statutory constraints on the dispersal of, among other materials, farmyard slurry, the only guidance currently relating to such practices in Wales is the voluntary Code of Good Agricultural Practice (CoGAP). A review by S&TC Cymru of this, and earlier codes, showed that little has changed since 1991 and, in some cases, since 1985, in the advice given to Welsh farmers on methods of practice that would avoid polluting our streams and rivers. Above: Dead fish following a pollution incident in the Clywedog in September. Regrettably, a minority of farmers have consistently chosen to disregard these codes, resulting in increased incidents of acute pollution and a rise in the pervasive effects of widespread diffuse pollution. S&TC Cymru appreciates that the majority of farmers operate to commendable levels of stewardship, but there exists a minority who have ignored voluntary codes of practice and will probably ignore new basic measures as well. This results in reputational damage; not only to the Welsh agricultural sector, but also the wider rural economy and the international standing of Welsh produce. Above:River water polluted with slurry following spreading on nearby fields. 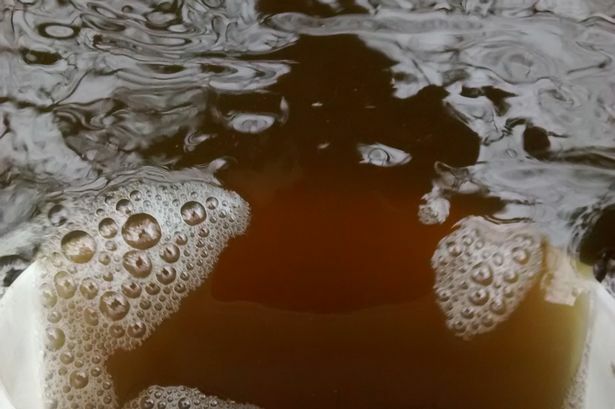 The success or otherwise of new basic measures in addressing the persistent and pernicious effects of agricultural pollution will require more rigorous and regular inspection of farmed premises than at present, if we wish to see a change in the behaviour of this recidivist minority. It is therefore essential that an undertaking is given to provide the necessary financial provision for Natural Resources Wales to fully exercise their authority as statutory environmental regulator from the outset, in order that the new measures can be enforced without delay. 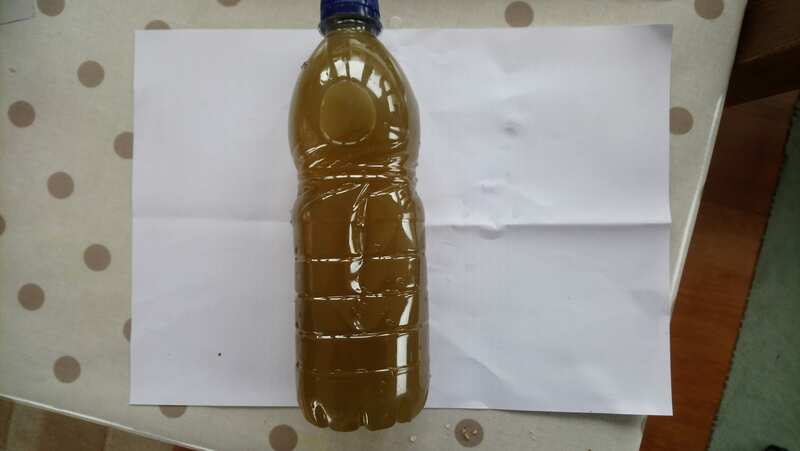 Above: Highly poluuted water from the Cywyn in September, following a slurry pollution incident. 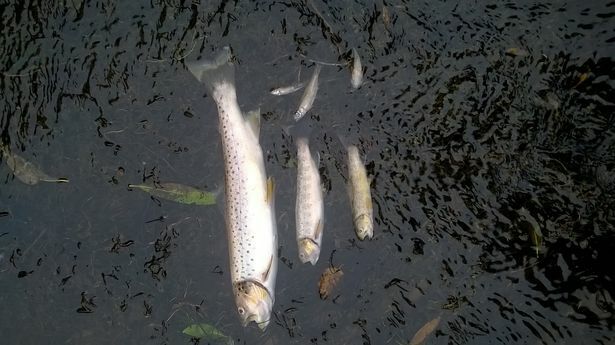 Over recent years S&TC Cymru has committed a large proportion of its limited resources towards highlighting the impact of agricultural pollution on the wild fish of Wales, and we are relieved that Government has finally chosen to act. We look forward to hearing the details of the Cabinet Secretary’s intentions in due course, and trust that they will fulfil our hopes for a reversal in the current troubling decline in numbers of our precious salmon and sewin. In the meantime, you can learn more and help us tackle agricultural pollution by visiting our campaign page and following the instruction to report any incidents to us. Our View: is a Green Brexit possible?